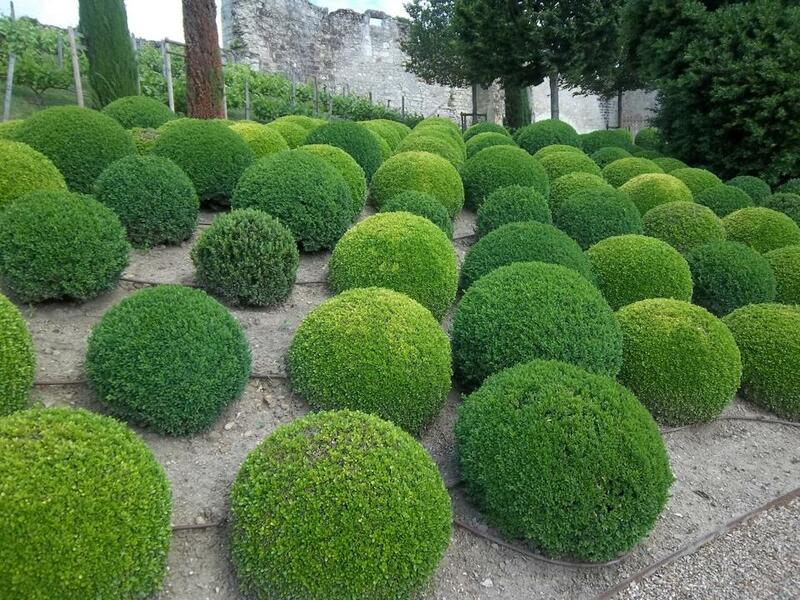 European topiary dates from Roman times. 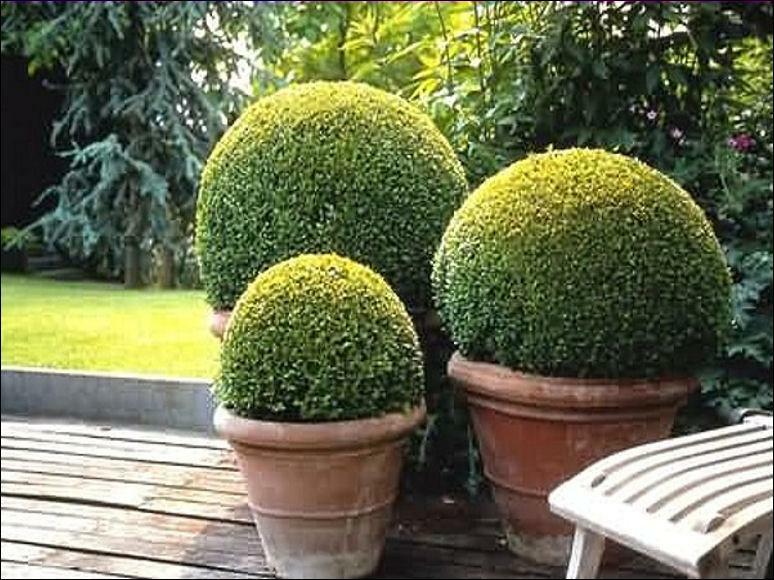 Pliny’s Natural History and the epigram writer Martial both credit Cnaeus Matius Calvinus, in the circle of Julius Caesar, with introducing the first topiary to Roman gardens, and P…liny the Younger describes in a letter the elaborate figures of animals, inscriptions, cyphers and obelisks in clipped greens at his Tuscan villa (Epistle vi, to Apollinaris). Within the atrium of a Roman house or villa, a place that had formerly been quite plain, the art of the topiarius produced a miniature landscape (topos) which might employ the art of stunting trees, also mentioned, disapprovingly, by Pliny (Historia Naturalis xii.6). 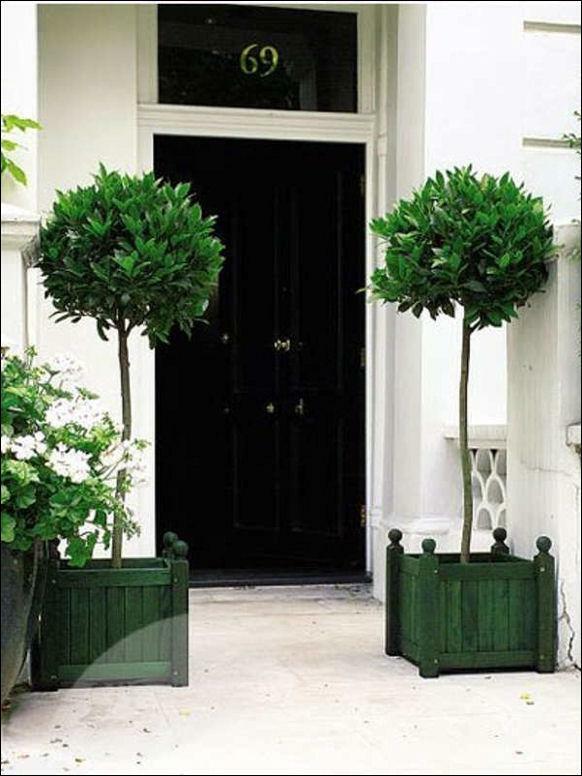 Topiary is the horticultural practice of training live perennial plants by clipping the foliage and twigs of trees, shrubs and subshrubs to develop and maintain clearly defined shapes, perhaps geometric or fanciful; the term also refers to plants which have been shaped in this way. 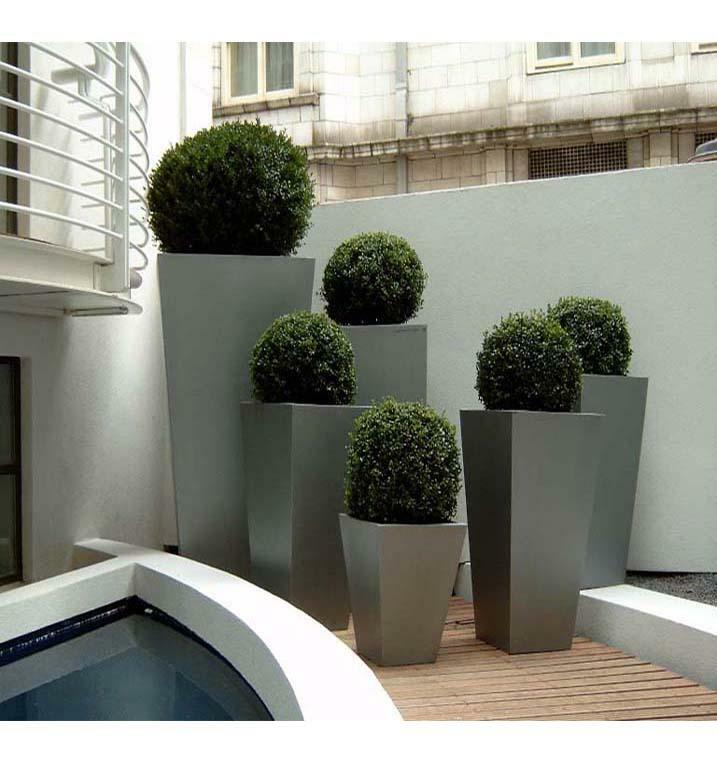 As an art form it is a type of living sculpture. The word derives from the Latin word for an ornamental landscape gardener, topiarius, a creator of topia or “places”, a Greek word that Romans also applied to fictive indoor landscapes executed in fresco. No doubt the use of a Greek word betokens the art’s origins in the Hellenistic world that was influenced by Persia, for neither Classical Greece nor Republican Rome developed any sophisticated tradition of artful pleasure grounds. 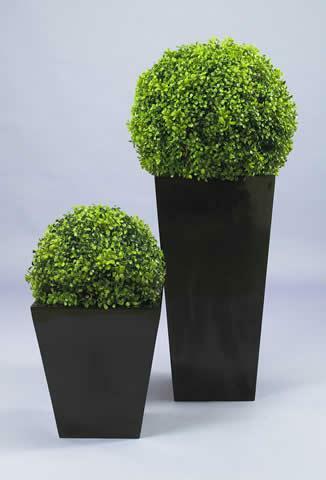 The plants used in topiary are evergreen, mostly woody, have small leaves or needles, produce dense foliage, and have compact and/or columnar (e.g., fastigiate) growth habits. 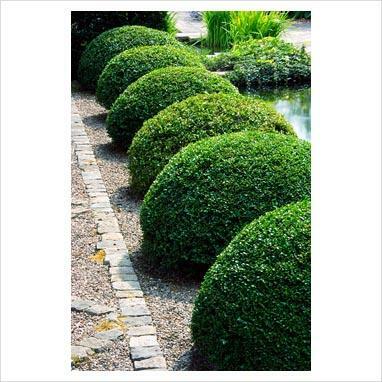 Common species chosen for topiary include cultivars of European box (Buxus sempervirens), arborvitae (Thuja species), bay laurel (Laurus nobilis), holly (Ilex species), myrtle (Eugenia or Myrtus species), yew (Taxus species), and privet (Ligustrum species). 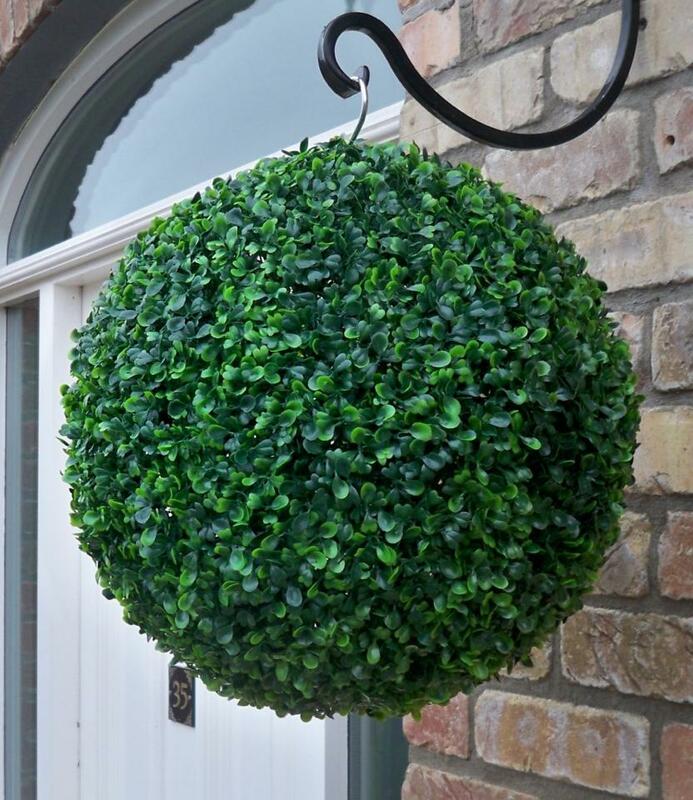 Shaped wire cages are sometimes employed in modern topiary to guide untutored shears, but traditional topiary depends on patience and a steady hand; small-leaved ivy can be used to cover a cage and give the look of topiary in a few months. 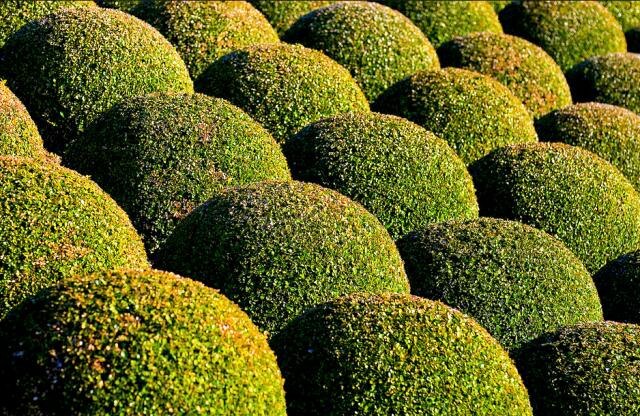 The hedge is a simple form of topiary used to create boundaries, walls or screens.